See exciting video of Knoxie Crit #2 (August 15, 2012) at http://youtu.be/6G-ux-LlAuM. Wednesday, August 8 is the first in the three consecutive week criterium series. All are welcome. Please see the flyer under the RACES tab. 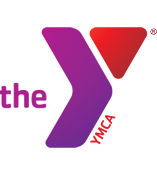 Mini-Triathlon at the Westside YMCA on Saturday, July 7. Contact Martin at 250-3618 if interested in helping out at the triathlon. There will be an opportunity to earn a KnoxVelo volunteer credit at the Rev3 Triathlon this Sunday morning, May 6. The Rev3 organizers have asked that area cyclists lead out the first 3 men and first 3 women on the run course. This is a fun event if you are not planning on doing the Highland Rim Road Race in McMinnville on Sunday. Contact Martin Coleman at 250-3618 if interested.